In the chaos of the last week, I realized I've fallen behind on posting my finds from around the Internet (which I referred to as the "web" in a conversation with my college-age nephew this weekend, and he looked at me like I was eighty). Here are the things that have grabbed my attention over the last couple of weeks. There has been a lot, given that it's Breast Cancer Awareness Month, so I've tried to whittle it down. Would YOUR Bank Account be Okay if You Were Diagnosed with Cancer? I am so incredibly fortunate that we have excellent health insurance. The year I had my bilateral mastectomy, insurance covered more than $250,000 worth of bills for us. My targeted chemo costs more than $10,000 per month. Not to mention, most people (me included) struggle to maintain a job while going through treatment, so then how do they maintain health insurance coverage if they're not married? The Affordable Care Act was a solid first step, but more could be done to ensure access to care without fearing that you'll have to file bankruptcy. "Patients who received the drug — Perjeta, from the Swiss drug maker Roche — had a median survival time nearly 16 months longer than those in the control group. That is the longest amount of time for a drug used as an initial treatment for metastatic breast cancer, the researchers said, and it may be one of the longest for the treatment of any cancer." While this drug worked for me, I ultimately had a recurrence while on it. But I am doing remarkably well on the next-generation of drug produced by Genentech/Roche (Kadcyla). 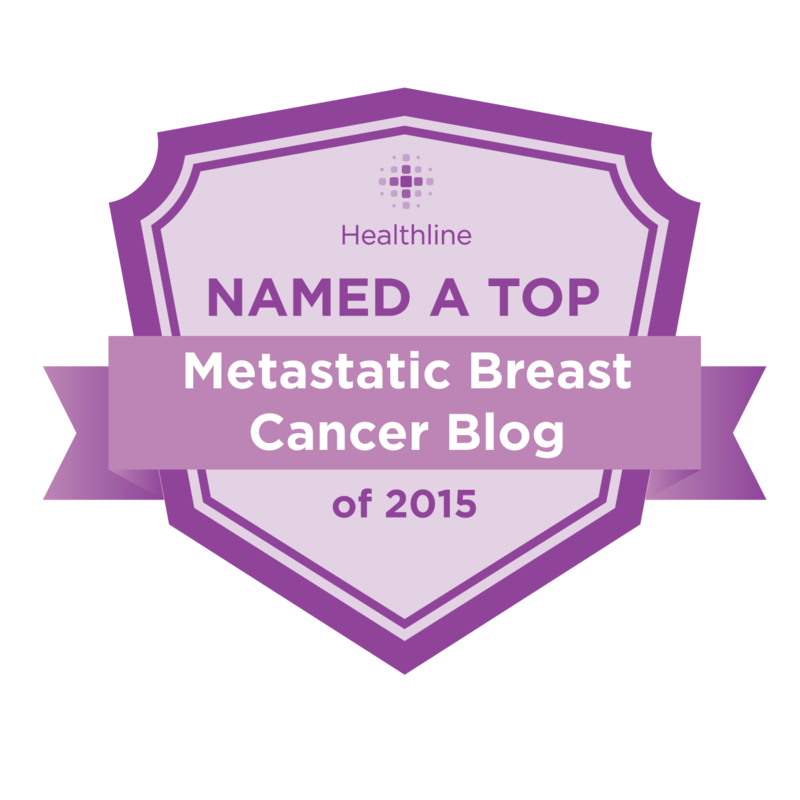 We need continuing research into how to stop metastatic cancer. 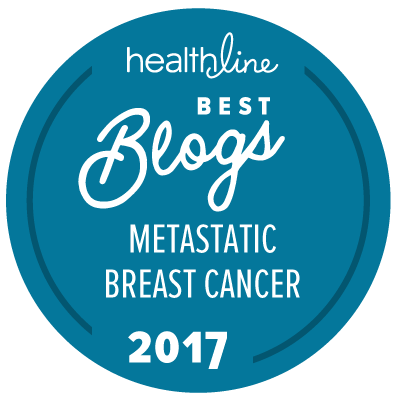 But these early, hopeful results suggest that the Stanford approach could become a nontoxic way to fight metastatic cancer." "Marathon Barbie," as she was known, was serving our country in Kandahar, Afghanistan, when she found her lump. Maybe it's because my baby brother just came home from there that this story hit so close to home to me. You don't expect cancer to be the thing that kills you when you deploy to a war zone. Would you take an estrogen-blocker if you knew it would cut your risk of developing cancer? I'd like to see more stories like this, please. "Susan G. Komen has awarded more than $2 million in grants for cancer researchers at the University of North Carolina at Chapel Hill and Duke University, the breast cancer organization announced Wednesday." Lest you think I only care about breast cancer. "Harvard Medical School investigators at the Massachusetts General Hospital Cancer Center pinpointed several different classes of pancreatic CTCs and found unexpected factors that may prove to be targets for improved treatment of the deadly tumor." Have You Noticed Less Pink This October? Lots of us think it might be best for the NFL to focus on other issues in October (like, say, domestic violence) rather than parading a bunch of pink stuff in the name of awareness while only donating a paltry percent to actual research. What do you think? What have you seen? "so before you gag at all the pink products this month, know that many help raise a lot of money. do your research. it’s like the ice bucket challenge. it’s cool to do it and send in a donation. not as cool to do it just to be funny and not contribute a penny. if you can afford a device to record a video, you can afford to donate $5."